Huge fires that ravaged Lancashire's moorland this summer could potentially lead to future asthma, lung cancer and infant mortality, according to experts. The devastating blaze at Winter Hill, near Chorley was battled by Lancashire firefighters and soldiers from across the UK for weeks in June and July this year. Firefighters tackling a wildfire on Winter Hill near Bolton. The huge fires that ravaged moorland near Greater Manchester this summer likely had a "shocking" impact on air quality, according to new analysis. Experts have now said that "extremely high" levels of "particulate matter" were recorded during the period of the fires which had a "shocking" impact on air quality. New research by an environmental think tank said that in the week following June 24, when the fires were at their peak, the legal limit for daily exposure to particulate matter (50ppm) was breached on five occasions in different sites across Greater Manchester. Monitoring stations also registered "extremely high" individual spikes in excess of 150ppm. Research group IPPR North said particulate matter is linked to asthma, lung cancer and infant mortality. Its analysis follows on from previous research by the think tank which found Greater Manchester has "lethal and illegal" levels of NO2 air pollution. Report author and research fellow Jack Hunter said the well-being of people living in the North, and the health of its economy, was "inescapably" linked to the natural environment. "Our upland areas, for example, play a huge role in terms of carbon storage, water supply, recreation and tourism. Our towns and cities would not function without them," he said. "The impact of the fires at Rivington Moor provide a timely reminder that we must not take the north's natural assets for granted. "If we don't value the natural environment properly, the consequences for people, the environment and the Northern Powerhouse economy can be disastrous." 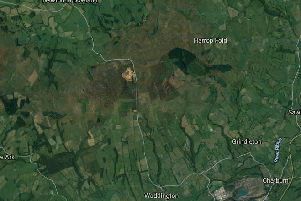 Fires on Rivington Moor and Winter Hill, near Chorley, were declared as major incidents as flames spread over dry ground during the summer's soaring temperatures. Lancashire Police, who investigated the cause of the blaze, said they were treating the fire as arson. A 20-year-old man who was arrested on suspicion of arson has been released under investigation. Mr Hunter said policymakers needed to put the natural environment "right at the heart of decisions about the future of the North of England". "To fail to do so would be tragically short-sighted," he said.